Lana is a senior executive coach in Shanghai, where she helps optimise clients’ organisational effectiveness through people. Her extensive experience covers a broad spectrum of areas across employee assessment and development initiatives, from recruitment to coaching. With her expertise and professional interest in the field of talent management, Lana focuses on the development, management and implementation of tailored assessment and development solutions in Asia, Europe and Americas. A unique blend of cross-cultural understanding and awareness, psychological background, and a 12-year experience of living and working in Asia allow her to successfully coach businesspeople across different fields. Lana’s work background covers a broad range of industries and sectors, and she has an extensive experience in assisting organisations across a variety of roles and levels, from high potential graduates to executives. Some of Lana’s recent coaching work includes coaching a client in the automobile industry through a career transition. Due to restructuring during the global economic crisis some of the senior managers were laid off, and Lana helped them to cope with the change/stress as well as support them with focusing on next steps and practical knowledge in finding a new position. Simultaneously, Lana is also coaching individuals from FMCG, retail and industrial sectors as part of ongoing development of specific gaps identified through formal assessment, to help employees manage broader responsibilities and/or ‘prepare’ for promotion. Lana has been living in Shanghai, China since 2000. As a member of China Network of Business Psychologists, Lana proactively participates in the professional networking activities, sharing her insight and experience through blending her international outlook with local context. She is an affiliated member of American Psychology Association and Society of Industrial and Organisational Psychology. Lana is engaged in providing her coaching services to a number of organisations across a variety of industries and sectors. Some of her clients include Abbott, AB-InBev, AXA Minmentals, Bayer, BP, GAP, Leica, Levi’s, LVMC, McKinsey, Philips, Porsche, Taminco, Tetra Pak. Lana is passionate about providing long-term support to individuals in discovering professional potential and sustaining personal growth. 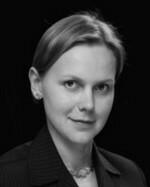 Lana coaches is tri-lingual with proficiency in English, Mandarin and Russian. In addition to her practical experience, Lana acquired the necessary aptitudes in observing and assessing behaviour in Assessment and Development Centres, and is a Certified Behavioural Assessor. She is also accredited in Hogan, SHL, Psytech International, Center for Applied Cognitive Studies.